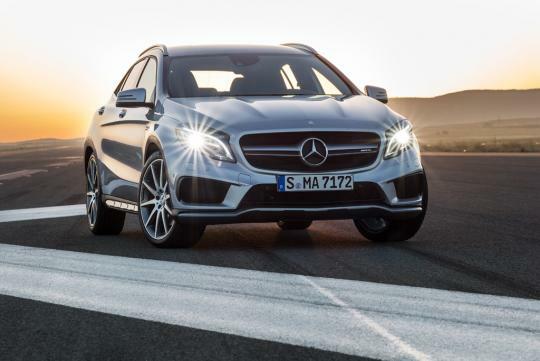 The all new GLA 45 AMG expands the extensive SUV lineup to five models, and is the third vehicle to feature a rather small four-cylinder turbocharged engine, in a bid to appeal to a younger motoring demographic. 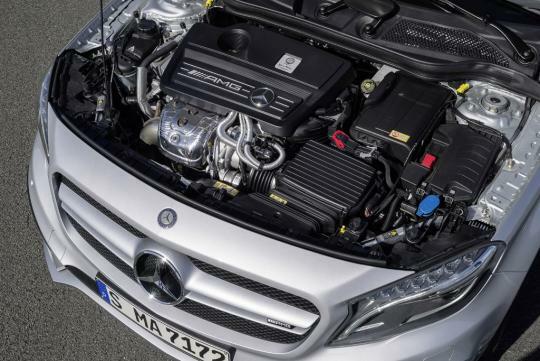 The AMG front apron with front splitter and the 'twin blade' radiator grille provide athletic highlights while the distinctive AMG lettering between the louvres of the radiator grille will become a standard feature on all future models - to easily identify the AMG bretherens from stock cars. Personally I think AMG is just trying to replicate what BMW or Audi does with their 'M' and 'RS' badges respectively. The side sill panels with matte titanium grey inserts, the 'Turbo AMG' insignia on the front wings and the aluminium roof rails lend the compact SUV a special touch. The diffuser insert with matte titanium grey trim and the rectangular chrome-plated tailpipe dominate the aesthetics of the rump. 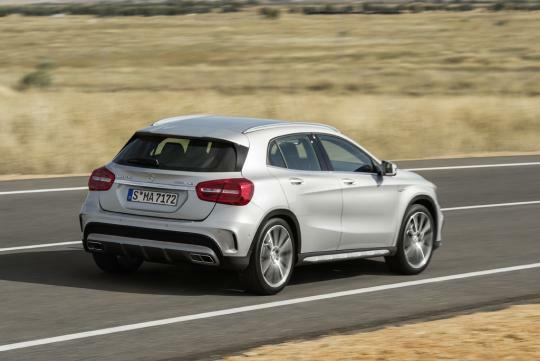 I don't know why but I think the hatchback shape works better with the GLA than the A-Class? 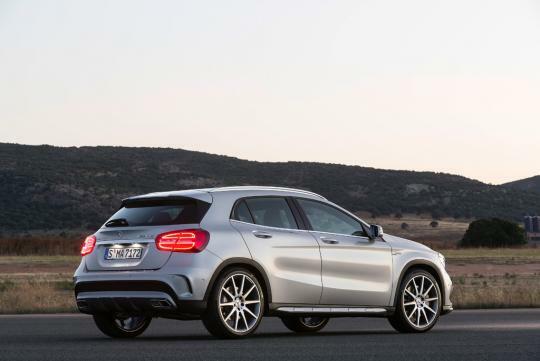 I have not been a fan of modern Mercedes styling but I think the GLA is more attractive than the X1 and the Q3 from BMW and Audi respectively. Although it is not as funky as the Juke, it carries the A-Class desgn language well, albeit in a slightly chubby body that well complements the 'urban SUV' look. The speed sensitive three-spoke sports steering wheel ensures high steering precision and agility, while stopping power is provided via vented, cross-drilled brake discs highlighted by grey or red brake callipers. 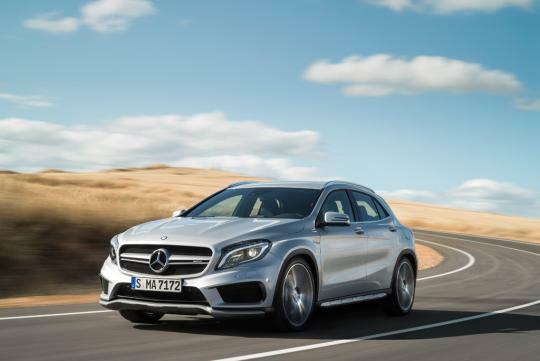 The hand-assembled 2.0-litre turbo with an impressive 360bhp and adequete 450Nm of torque, helps the GLA achieve its century sprint in a brisk 4.8 seconds before climbing to a governed top speed of 250km/h. 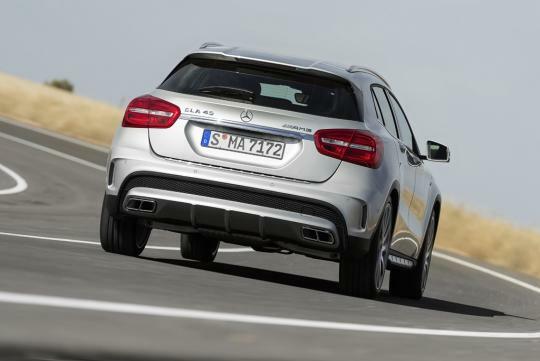 The GLA 45 AMG comes with variable AMG 4MATIC all-wheel drive as standard for optimal traction. 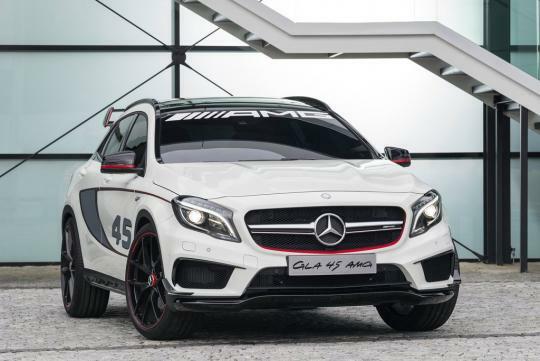 Under normal conditions, the GLA 45 AMG transmits power to the front wheels, but when conditions require, the torque is split between the front and rear axles to a 50:50 ratio. The SPEEDSHIFT DCT seven-speed sports transmission features three distinct transmission modes, a double-declutching function and a 'Race Start' function for the best off-the-line acceleration. The shift times in manual mode 'M' and sport mode 'S' are similar in character to those on the range-topping SLS AMG GT! That is a pretty cool feat isn't it? 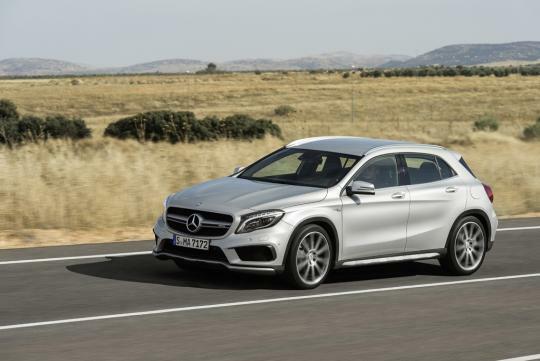 The GLA 45 AMG is not all focused on performance though, as it returns a decent 13.3km/L while emitting 175g/km of CO2, on top of complying with Euro6 emissions standards. As in all AMG models, the interior boasts high quality appeal, combined with sporty flair and exclusive equipment features. Sports seats are finished in Artico faux leather and Dinamica microfibre with contrasting topstitching while the instrument panel is adorned with brushed aluminium. 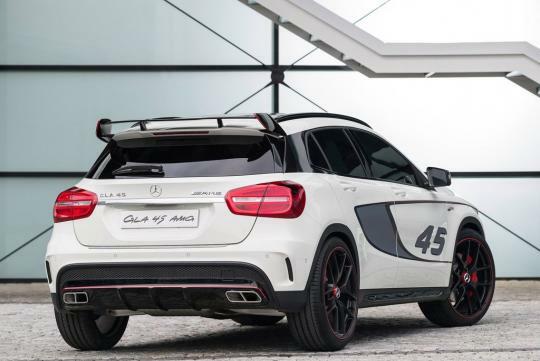 Along with the GLA 45 AMG, an 'Edition 1' model is also available offering a high-gloss black Aerodynamics package with larger front splitter, additional flics in the front apron, and rear aerofoil for an uncompromising racetrack feel. The silver grey/red AMG racing stripes on the vehicle sides are complemented by red highlights and perfectly matched red painted brake callipers. The AMG Night package is also part of the standard equipment, as is the 'Edition 1' badge on the front wing. The interior is dominated by the colours black and red while an E-SELECT lever is embossed with the AMG emblem along with the addition of the ‘Edition 1’ badge on the AMG DRIVE UNIT.